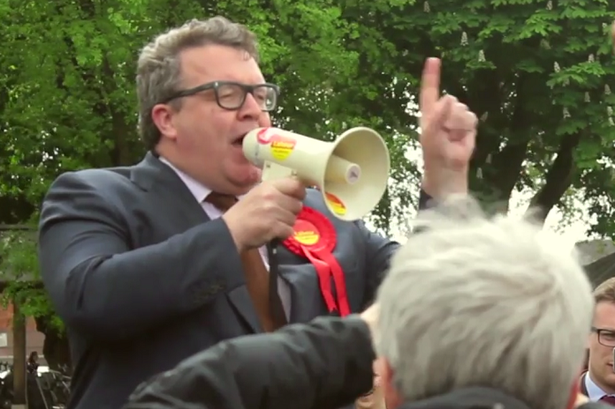 Labour deputy leadership candidate Tom Watson has called for a new national police agency to investigate child abuse. Speaking to the Birmingham Post, the Black Country MP said he believed abusers might be going unpunished because forces were failing to share information. Along with the four leadership candidates, he will take part in a hustings event in Birmingham on June 27. The MP led a successful campaign for an inquiry into historic allegations of child abuse which led to the government announcing an inquiry in 2014. But he said there needed to be a national police agency to take charge of child abuse investigations. Mr Watson said: “What we found is a lot of intelligence has not been shared between different police services. Mr Watson was a Labour activist from a young age, growing up in Kidderminster as the son of “very idealistic” parents. Mr Watson said he wanted to see Labour restore the principle between paying into the welfare system and getting something out - and end the notion payments such as Jobseeker&apos;s Allowance were an “entitlement”. This was how William Beveridge, who produced a 1942 report proposing a welfare system, had expected it to work, Mr Watson said. “Public legitimacy is very important when it comes to the social security system. “Beveridge had this idea it would be a contribution-based system and there would be some reference to the contributions you make into your entitlement if you fell on hard times. He added: "If people have been paying in for 20 years it’s not unreasonable to say they get a little bit more." The MP said he wanted every opinion within the party to be respected, adding he was concerned about some of the abuse aimed at leadership candidate Liz Kendall who is sometimes portrayed as relatively right-wing compared to the other candidates. He said: “In this debate I worry the leadership debate is already getting tetchy and personalised. I have been deeply upset to see the abuse that Liz Kendall is getting on social media, for example. Mr Watson warned simply being a Labour candidate could now be a full time job and even trying to get selected could involve weeks of campaigning which many working people could not afford to do. He was proposing potential MPs received a grant or bursary to ensure people from all walks of life could be candidates. “Standing for selection in the Labour Party takes a lot of time now. It can take anything between 12 to 16 weeks to choose a candidate," he said. “Some people take time off work and do it full time, they knock on doors full time. Labour’s local councillors would be more valued if he became deputy leader, Mr Watson said, and along with MPs they would find it easier to speak to the leadership team. And he warned it had become very difficult even for MPs to speak to party leaders. Mr Watson said he disagreed with calls for the next party leader to be elected for only three years so they can be removed if they appear to be failing, saying this would undermine them from their first day in the job.